Thornburg, VA — Stewart Bartley loves cars, in fact he loves them so much that he’s buying a condo for his cars. This fall Spotsylvania County’s Dominion Raceway and Entertainment will begin the pre construction phase of their multi tiered project as they plan and pre sell the new Dominion Luxury Garage Condos. 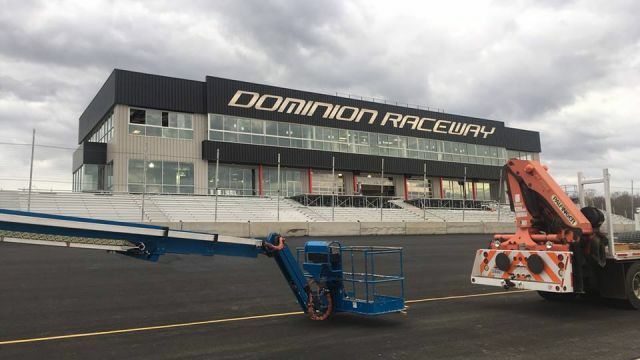 Phase one of the Dominion Raceway project opened in the Spring of 2016 with a 2 mile road course, a 4/10ths mile NASCAR oval, a 36,600 square foot entertainment center and later the addition of the Groove Music Hall. The next step will offer car lovers a first in the state opportunity. “When I first heard of the project I said sign me up. Every car enthusiast I know has a storage problem and this is a great way to address it.” Bartley is so excited about the project that not only is he the first buyer but he is now working with the ownership of Dominion Raceway to develop and expand the project. Dominion Raceway has a private membership club and while some of the owners will come from this group other interested parties are looking at the offering as well. Once purchased the garages can be customized to suit the owners unique needs. Groundbreaking is set for Spring of 2019 with the first units delivered in late 2019. For more information contact Jason Walker at jason.walker@dominionraceway.com.